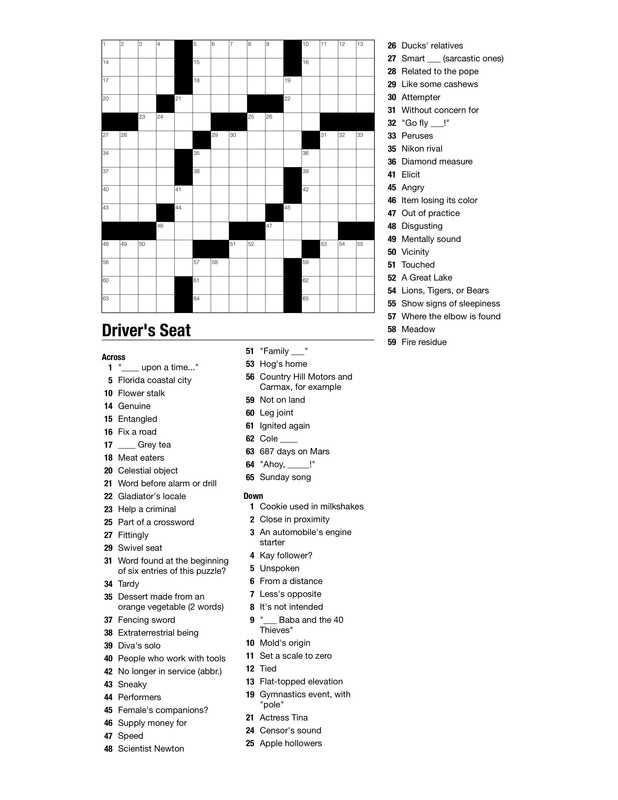 Feel free to print the puzzle out or solve it online here. Answers will turn grey when they are correctly entered online. 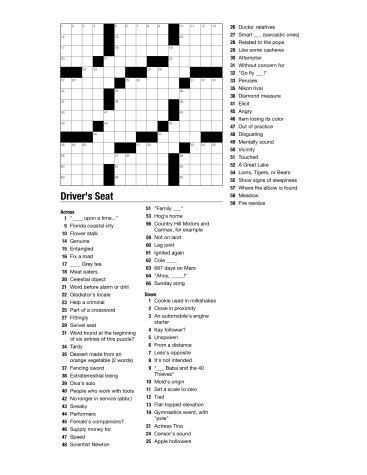 This is a themed puzzle entitled “Driver’s Seat”.